On a tour of Edinburgh’s Festival City the other evening I noticed a statue outside the National Museum of Scotland on the new wider pavement area outside the entrance. Unfortunately time did not allow for seeing the front, but I took a quick snap of the rear view of the statue as a reminder to find out more. 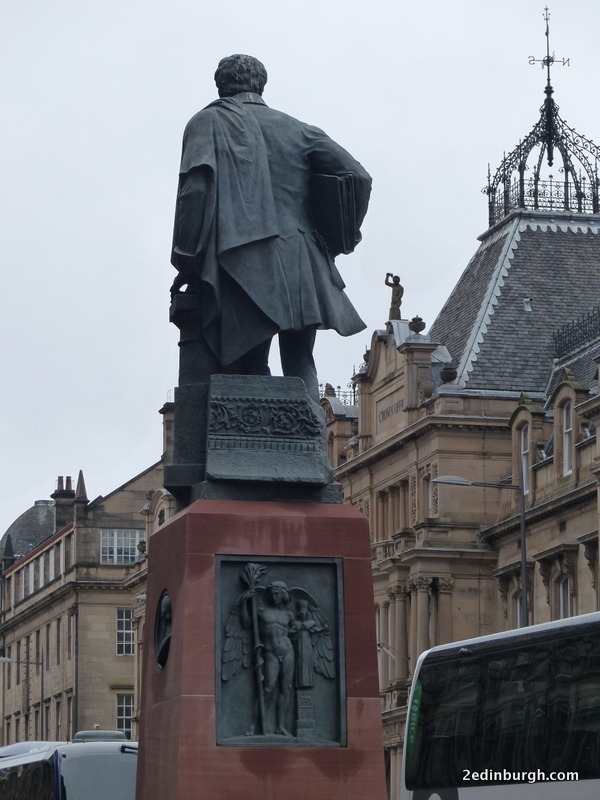 A quick search and I discovered that the statue was William Henry Playfair, architect, who lived from 1790 to 1857 and was responsible for many of the grand buildings still in use around Edinburgh today. He was said to be meticulous in his attention to detail. One of the things about Edinburgh which makes it a great city to visit is the architecture, and the combination of different styles which exist. Indeed, it is the juxtaposition of the old and new towns of Edinburgh which gave the city its World Heritage status in 1995. Many visitors make a point of heading up on top of Calton Hill early in their explorations as it’s such a great spot from which to see the whole of the city, with views stretching out towards the Forth Bridges in the west, Fife to the north, Berwick Law to the east and the Pentland Hills to the south. 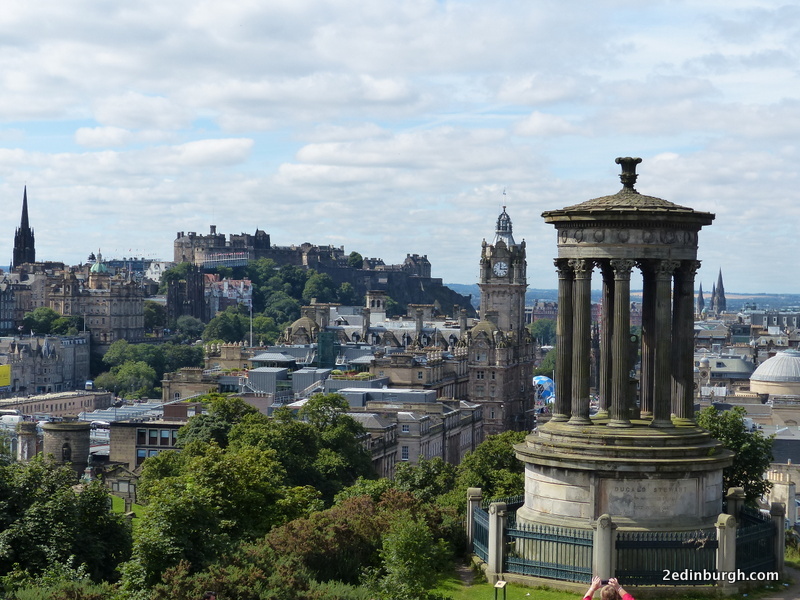 This classic view towards Edinburgh Castle includes the Dugald Stewart monument to the right, designed by William Playfair. 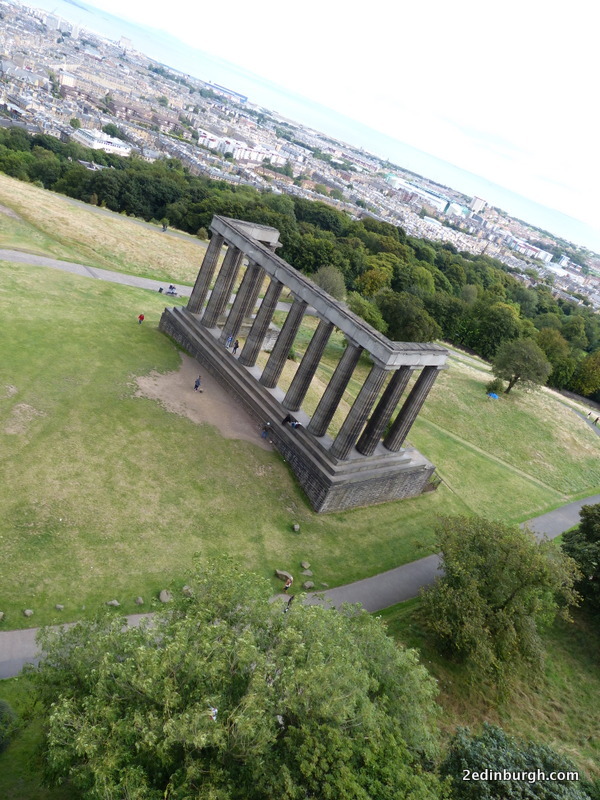 In the image below you can see the National Monument (viewed from the top of the Nelson Monument) – an unfinished edifice which was designed by Playfair in collaboration with Charles R Cockerell. It is unfinished as funds ran out during construction, and it’s alternatively known as “Edinburgh’s Disgrace”. 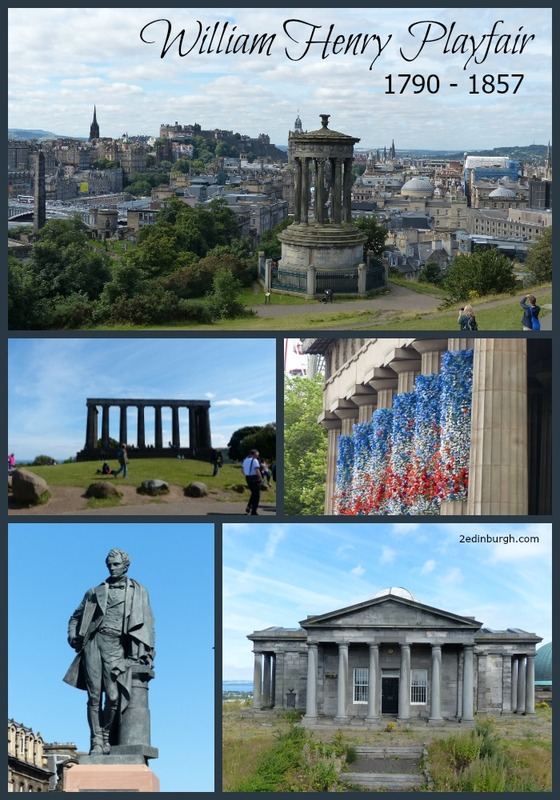 It was inspired by the Parthenon in Athens, and it is one of the buildings which led Edinburgh to be referred to as the “Athens of the North” (that and the notion that we’d just count 7 of the hills around Edinburgh and liken them to the 7 hills of Athens). Many other cities, it turns out, are also built on 7 hills. In case you’re curious, Edinburgh’s 7 hills are: Castle Hill, Calton Hill, Arthur’s Seat, Craiglockhart Hill, Corstorphine Hill, Blackford and Braid Hills, although this is subject to debate. 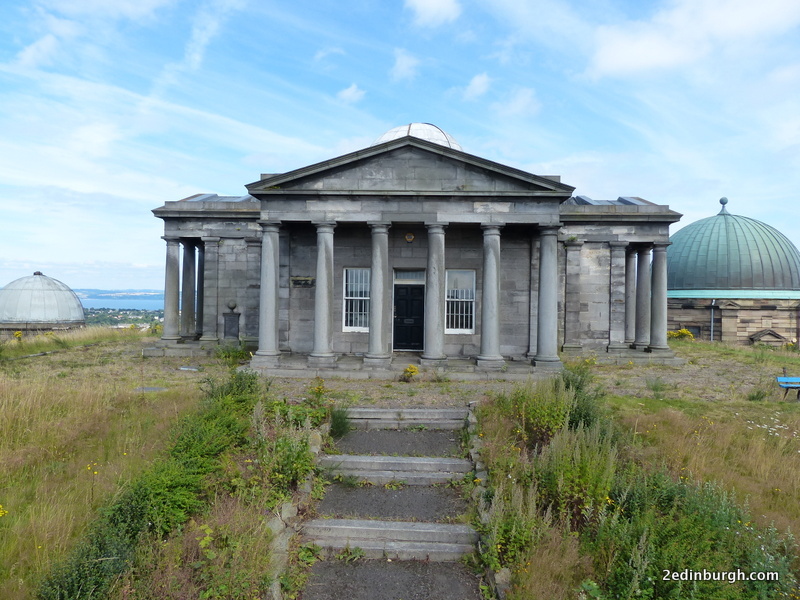 From a special viewing platform built as part of the 2016 Edinburgh Art Festival, I was able to take a peek over the walls around the Edinburgh City Observatory on Calton Hill to see the Playfair-designed building which is currently under redevelopment with plans to incorporate it into a complex including a restaurant and gallery spaces. 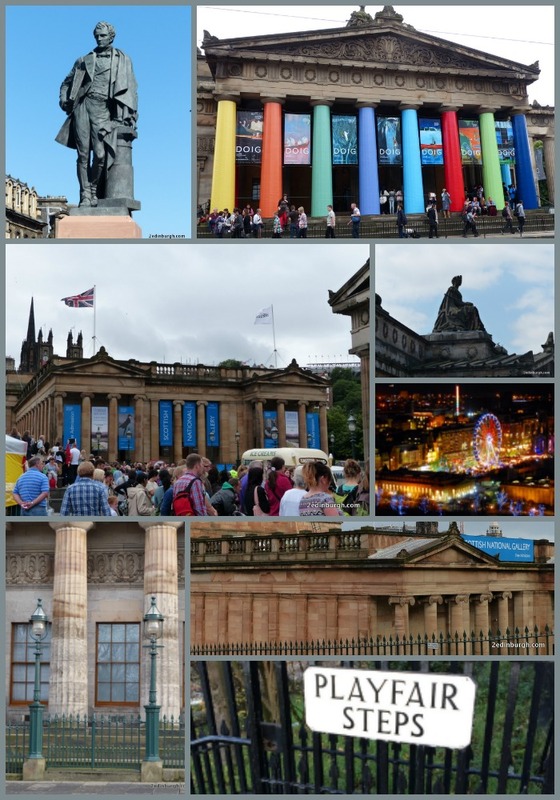 Other buildings which Playfair designed have been in full use as galleries: the Royal Scottish Academy and National Gallery of Scotland which can be found at the Mound, with an entrance from East Princes Street Gardens which was formed when the complex was redeveloped. 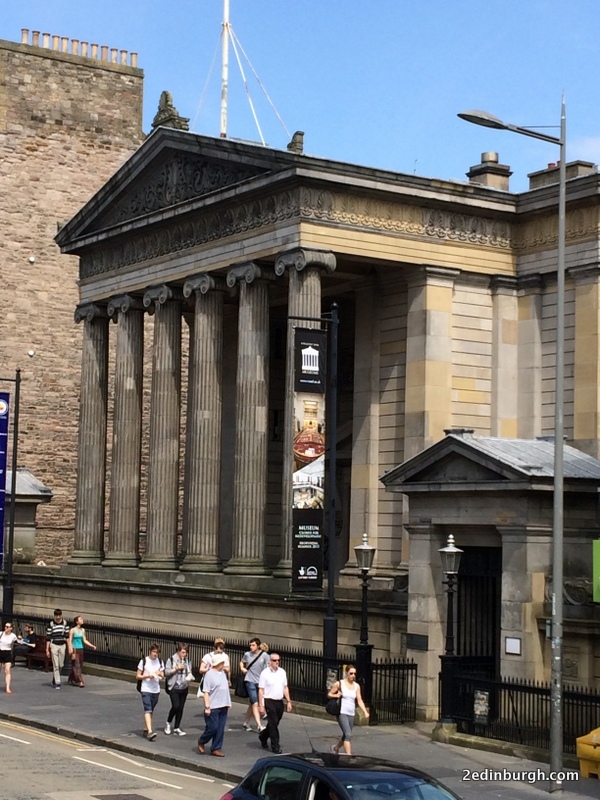 The area around the Scottish National Gallery and Royal Scottish Academy, now Mound Place is used as an outdoor entertainment space at many times of the year – particularly during August when there are street performers here and at Christmas and New Year when there are markets and concerts held in the space. A regularly-changing programme of events and exhibitions can be found within. 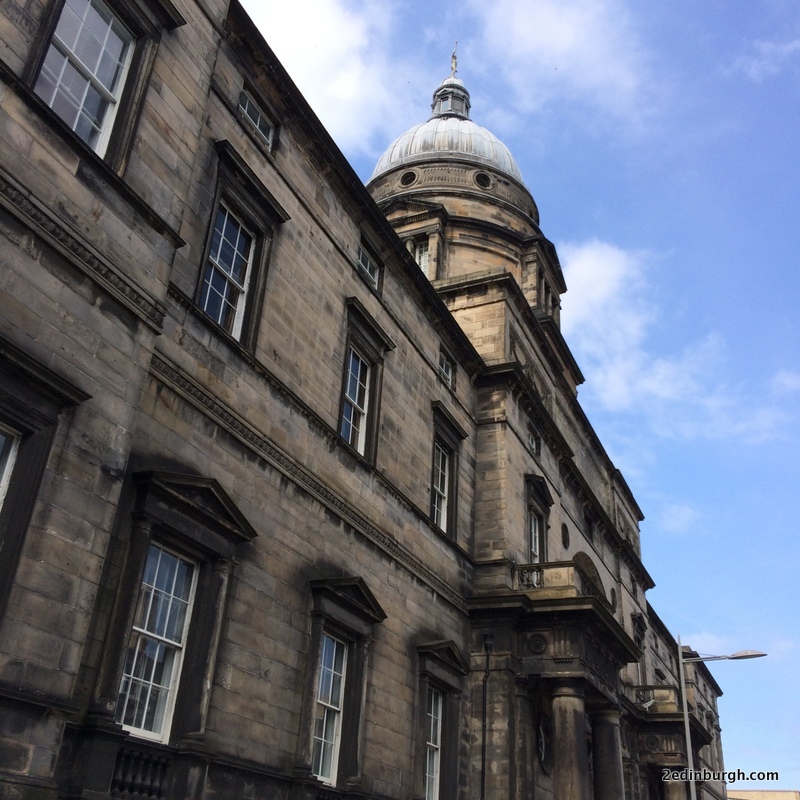 On South Bridge you’ll find two more buildings where he was involved as architect: the Old College of Edinburgh University where he started his career as he was selected to complete the work which Robert Adam had started, and Surgeon’s Hall which is diagonally opposite. 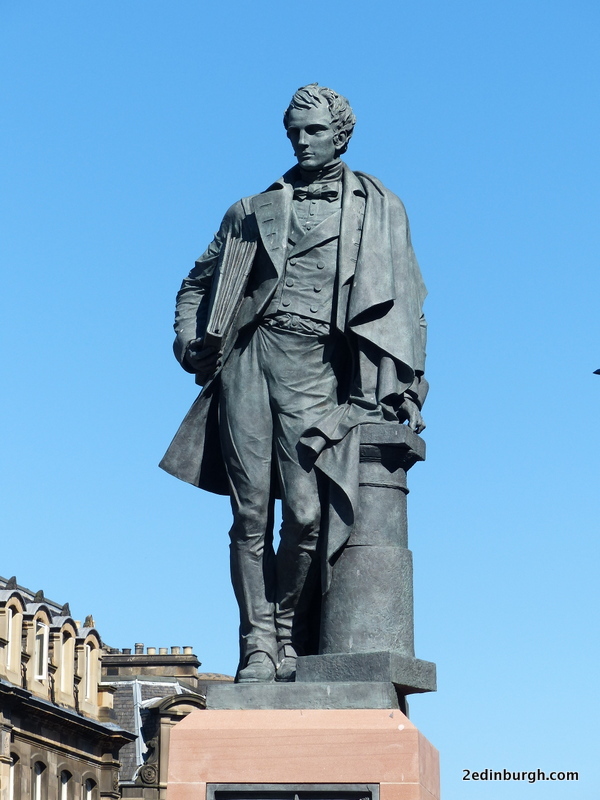 We hope that you’ve enjoyed finding out a little more about Edinburgh architecture and the story behind the statue – we hope you’ll enjoy touring some of the buildings around Edinburgh designed by William Playfair. There are plenty more to discover, and if you’re interested in finding out more about the architecture of the city you might like to visit during Doors Open Days which happen in September each year. Remember, we offer short breaks most of the year round, and you can always check availability by searching using the “Book Now” button.